It's About TV: Christmas at Around the Dial - Charlie Brown, comedians, Kojak and more! Christmas at Around the Dial - Charlie Brown, comedians, Kojak and more! 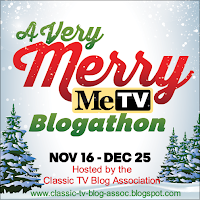 A reminder that this year's Classic TV Blog Association here, and while yours truly will not show up until Christmas Eve, there are some exceptional entries already, warm and nostalgic and reminding you of Christmases past. The Christmas blogathon continues up through the big day itself, and you can see the entire lineup here. 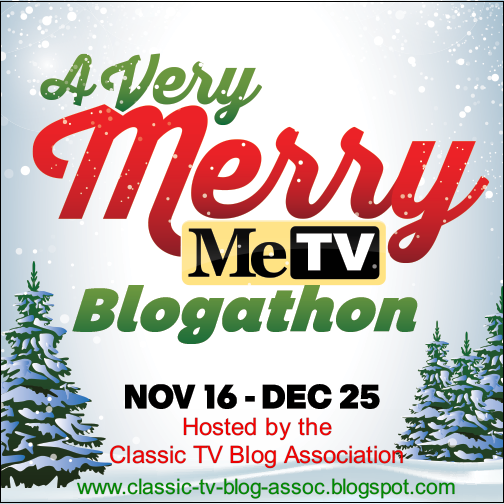 For example, The Last Drive-In reviews The Andy Griffith Show's 1960 Yule episode, Meanwhile, Made For TV Mayhem writes up the Kojak Christmas entry. I agree that Kojak isn't the first show I think of at Christmastime, but this makes me want to see that episode. Two very different takes on the season from two very different police shows. Some Polish American Guy provides a Q&A on the 1976 NBC series Gemini Man. I remember this series, vaguely; living in The World's Worst Town™, NBC was our only choice. Would I have seen it otherwise? Fortunately, it's a question I don't have to answer. I've never thought to compare Batman and The Avengers, for example, but that's just what Cult TV Blog is up to, and there are in fact some very interesting similarities, starting with the villains themselves. That blog never ceases to spur my own creative juices. You may have noticed that many of the seasonal programs of the era revolved around music, and that seems an appropriate segue to Comfort TV's meditation on 10 favorite classic TV Christmas songs. What a great list! You'll have your own favorites, of course, but if you give me these as part of the proverbial desert island stay, I wouldn't complain. Kliph Nesteroff has a new book out - The Comedians: Drunks, Thieves, Scoundrels and the History of American Comedy, and for those of you who haven't yet decided whether or not you want to find this under your tree, his Classic Television Showbiz has a handy guide to reviews, profiles, interviews, and other items that should help you make up your mind. Over the last year or so, I've really become a fan of the OTR program Yours Truly, Johnny Dollar. Given how many of the old radio shows made the transition to television, I've always wondered why Johnny Dollar never did, but Television Obscurities sheds some light on it all with a look at two pilots that were made in an attempt to sell the show to TV. As always, my sidebar has these sites and more, and when I've got the time (an increasingly problematic situation), I like nothing better than leisurely browsing through them, and invariably learning something I didn't already know. Sometimes that comes from other than a regular source, such as this article that describes something I've never noticed, no matter how many times I've watched A Charlie Brown Christmas: the moment Linus drops his blanket. If you run across anything like that, or other sites that you think should be shared, just drop me an email and let me know. And in the meantime, I'll let you know that I'll be back tomorrow with our special Christmas edition!